Where swimming will feel like flying. 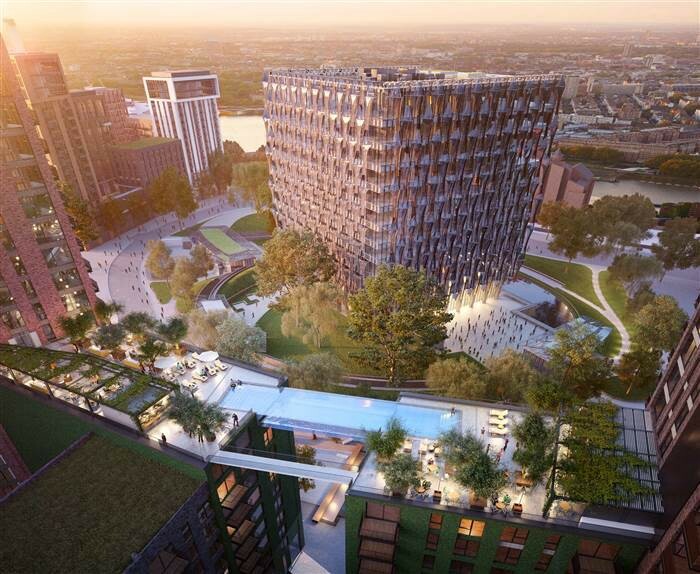 It appears that the world’s first-ever “sky pool” will be coming to Embassy Gardens, a luxury apartment complex, in London. 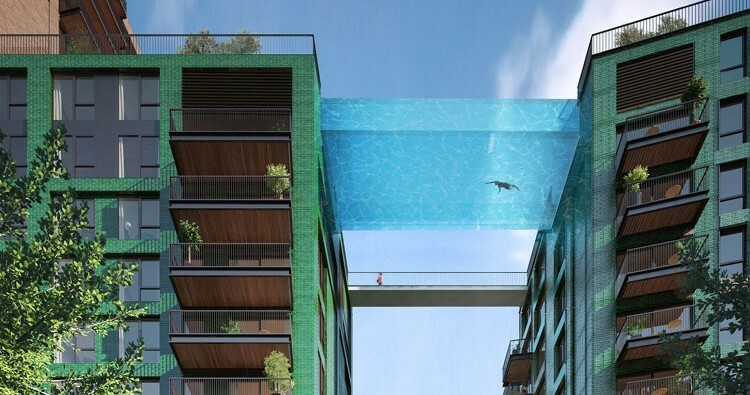 Suspended 10 stories up between two blocks of flats, the 25-meter long sky pool will provide a luxury experience that literally cannot be rivaled. According to James Vincent of The Verge, “The pool will allow residents to swim between the development’s roof-top bar, spa, and orangery.” Of course, such an amenity comes with a price—apartments in this complex will start just shy of one million USD ($942,572). For residents, swimming in this pool is likely to mimic the feeling of floating through the air. And, because the sky pool will be completely clear and transparent, the only things you’ll see below are the streets of Central London. If you’ve got the budget, stay tuned, because these posh pads hit the market next month.